Well, what a Conference that was! 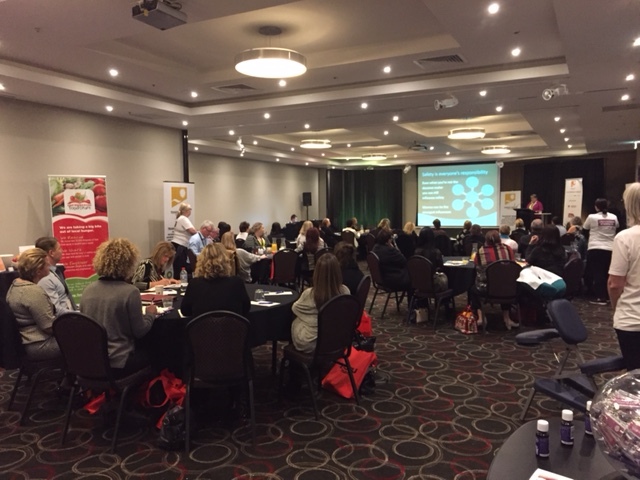 Our Finding the Balance Conference was held last weekend in Melbourne, and what a conference it was. We had terrific delegates who heard great presentations and enjoyed fabulous opportunities to network and have a good time. All those in attendance had great things to say about the sessions, and our energising segments throughout the event were a great hit. They helped get everyone pumped and enthusiastic for the next session. The cocktail party was the great kick off for the weekend that we always hope for, and had everyone pumped and ready for the huge day on offer Saturday. With sessions on everything from Chain of Responsibility to Smart Devices and how to use them, we powered through the day and then partied on into Saturday night with our mini extravaganza Australiana themed show from Sharon Middleton. Shaz had us all up dancing and singing up a storm, and we followed that up with an auction to end the evening. Another early start for Sunday breakfast, led into three power packed sessions to finish the weekend off on a big note. Our final session speaker was Robyn Moore, who was absolutely fabulous. The session went a good half hour or more over time, but no-one wanted her to stop. The Power of the Word is what Robyn calls her speaking spots, and she most definitely proved that the Word is very powerful indeed. Our official photos wont be ready for a few weeks, but when they do come through, we will put some in our next newsletter and make a gallery on here too, so that you can have a look at what we got up to. There is a big list of things to do to finalise and follow up from the conference, but once that is all taken care of, the focus will once again be on “the normal things”, like our planner/calendar, the end of year functions, newsletter and ‘normal’ paperwork. To all of our Presenters, Sponsors, Delegates, and Helpers, we thank you from the bottom of our hearts for combining into the TEAM that made this great event happen. You are all each in your own way, a very important cog in the wheel that is Our Conference.